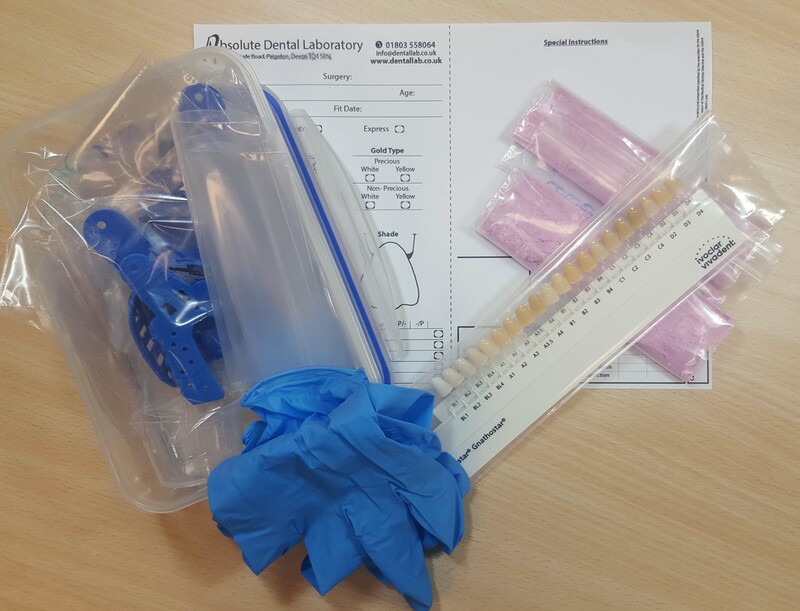 Once you have selected and paid for the type or style of teeth you would like, we send you a impression material kit. This includes the impression material, gloves and impression trays, together with a shade guide for you to choose the colour you would like, we have colours ranging from a Bright white bleach colour through to more natural colours and can of course colour match your own dentition if preferred. All you will need is a small mixing bowl, a spoon or butter knife. The material will peel from the bowl easily once you are finished. Instructions will be sent with the kit on mixing ratios and working times e.t.c. along with a lab ticket. On this you will need to write your name, order number etc..